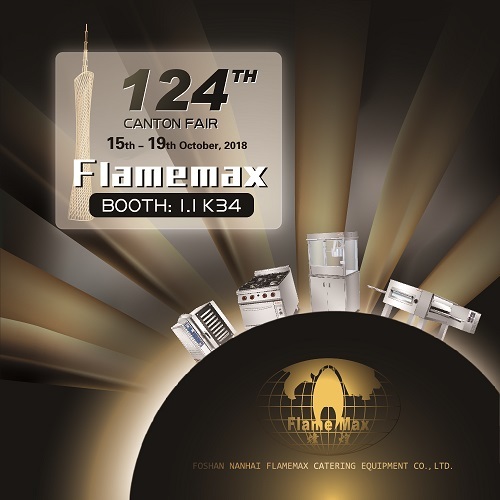 124th Canton Fair Flamemax Booth Hall 1.1 Stand K34 - China Foshan Nanhai Flamemax Catering Equipment Co., Ltd. The 124TH Canton is coming again! Date: October 15th - 19th, 2018. Come and visit us at booth:1.1 K34.